Skype is one of the popular VOIP tools that helps to make video calls, instant messaging and sharing files among computers globally Most of the people are aware of these features and online installer of Skype works only when you have an internet connection to your computers and it usually takes much time to download. In case if you have multiple system and want to install Skype then it could eat up much of your bandwidth and time to install them with each computer. Many people are unaware of Skype standalone offline installer and these works out great for people who is having slow internet connection and moreover when you need to install Skype on multiple system, it’s a good idea to get the stand alone complete executable file of Skype. 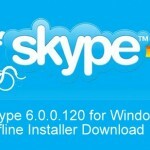 Why you need to download Skype standalone Offline Installer? Having a standalone, offline installer for Skype does not require an internet connection to setup Skype on your computer and will get installed within a few seconds. 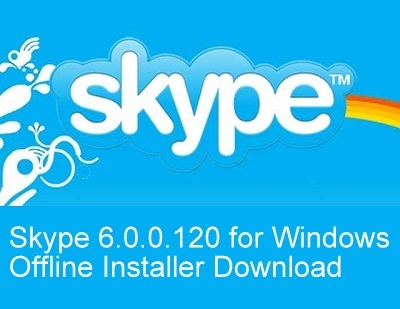 This installer can also be used to install Skype on several computers/laptops without having to download all the data gain and again. You can download Skype standalone offline installer latest version by clicking on this link. If you are facing any issues with download or installing of Skype standalone offline installer, let us know through comment section and will help you to sort it out.